Everybody loves to be recognised for the hard work, and the great stuff they do, and there is nothing more deflating for a team member when they are so committed, they are working hard all the time to be there best for your company, and they don’t get recognized for it. It is especially important for your team to be recognized amongst their work peers. So, set a Rewards and Recognition program. Set them out as part of your company goals. Remember, setting your company goals is your first step, so set out a rewards and recognition section within there. What do you reward people for? Again, depending your business or industry, you reward them for milestones. If you have a sales team then obviously they are going to have financial milestones. Reward them for that. They might be 80% more productive this month than what they were last month. They might not be as advance as you would like them yet, but you can totally see all the work that they have been doing. Reward the productivity. Give them a reason to keep kicking on the next month and keep going. You know what? Again, Attitude is a really big thing. If you can see someone who maybe holds back and doesn’t put any ideas forward or maybe holds back and yeah, they’re kind of workable but they don’t have a great attitude and you can slowly start to see them turning around, compliment them on it. Tell them how great they’re doing. Tell them how proud you are. Tell them that you can see the change, and they will just love that, continue to forge forward. So recognize all of those things. Recognize hard work. Every business has those people who will always come in early, that’ll work through their lunch break, that’ll stay late to get something finished and out the door before they leave. Reward them for that kind of commitment and dedication. If you’ve got people who are doing that, they are your biggest asset and long as they’ve got the right attitude and getting recognition for all the do, they will continue to help you build your business. I would personalize this when you are working out who you’re going to reward for this month. I would personalize it and give them something that you know that they love that everyone else knows that they love and everyone would love to be able to win a reward that they would love as well. This inspires everybody else to do a bit better and to get that award next month. Look, it might just be an “employee of the month” award. It could just be something as simple as that. But if you have a business and you have a few different areas in that business, and you have team members in different areas of that business who are really going great guns, then reward them. 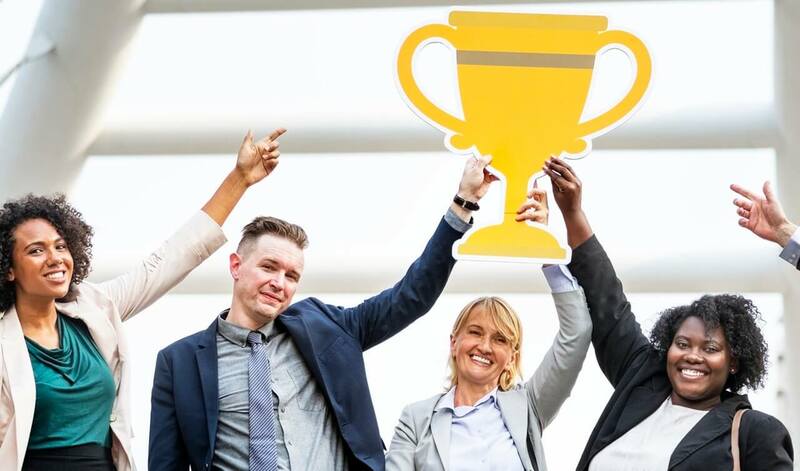 It doesn’t have to be just one “employee of the month.” It could be employee of the month in different areas and the reward could be for their hard work, commitment, productivity, and attitude. You can then work through with them, where they’re working, what they can improve on, and you know what, If they’re doing that, next month, and they’ve really stepped up, you’re going to reward them. Of course, you’re going to reward them. Make sure that those rewards are done in front of the whole group so that person is getting the absolute recognition from all of their work peers and that is just something that they feel so grateful for and it so inspires the rest of the team to get that done. YOUR ACTION PLAN ON STEP #5 IS TO CREATE A REWARDS AND A RECOGNITION PROGRAM AND DOCUMENT IT ALL.